Former India captain Sourav Ganguly believes the twin dismissals of Rahul Dravid and his own -- both umpiring howlers -- cost India the acrimonious Sydney Test against Australia. India needed to bat out a little more than the last two sessions to secure a draw but the top order crumbled and they slumped to 54 for three before Ganguly (51) and Dravid (38) joined to steady the rocking boat. 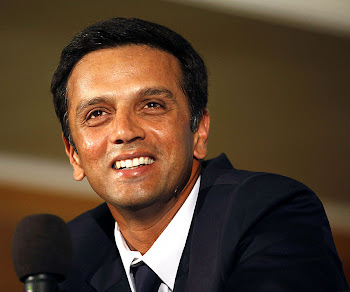 But just when they seemed to have put India back on the track, Dravid was ruled caught out by Bucknor despite the ball brushing his knee-roll and then Ganguly was given the marching order even though Michael Clarke took a bump catch, also grounding it while rolling over. Though he fell short of criticising the umpires, Ganguly has no doubt that the crucial dismissals cost India the match. "We had the possibility of saving the game. Obviously if me and Rahul had carried on, things would have been easier for the team. But once you are given out, you are out," the dejected left-hander told Times Now channel. Ganguly stood his ground after being 'caught' and asked to comment about the dismissal, the former captain said, "I was in a different angle so I could not see it properly. But I'm sure the replay must have shown what it was." Ganguly said the players were naturally upset but steered clear of inviting troubles by commenting on umpiring and the racism row that earned Harbhajan Singh a three-match ban. Asked if it was the most controversial match he played in ever, Ganguly said, "I don't want to get into it. It has been a tough Test match -- I would like to put it this way. "And in terms of controversies, I'm sure the entire world is aware of it," he said. "We played well in the match. With Australia 134 for six (in the first innings), we could have dominated the match. But it did not go our way. We batted well to score 500 and it could have finished in a much better way for India. "It was a different Test match," he said. Though the players are finding it tough to shrug off the disappointment, Ganguly said the need was to look forward. "Yes, we are pretty upset with the loss. We could have saved the Test. We were in a good position on day one and also in certain stages over the five days. But still we could not save the match and we are disappointed from that point of view. "But we got to look forward. We have two more Test matches to go and we would try our best to do well in the series," he added.